Scientists from the University of Southampton have discovered an important way that the immune system can learn to recognise and fight cancers. The team, led by Professor Aymen Al-Shamkhani and funded by Cancer Research UK, has shown that a protein called Akt, is vital for the way the body remembers a cancer it has eradicated. The body’s immune system includes cytotoxic T cells, which actively seek out and destroy infections or cancers. When they have dealt with the danger the majority of T cells die, but the remaining ones turn into memory cells, which can recognise the threat if it comes back. However, how this actually works has previously not been clear. The Southampton team has found that a protein called Akt has a big effect on the number and type of memory T cells that a danger signal can generate. The study, published in Proceedings of the National Academy of Sciences of the USA, shows that Akt is critical for survival of T cells when they turn into memory cells and for how these can then react to future threats. Over the past 40 years the University of Southampton has made a number of advances in cancer immunology and immunotherapy research with a reputation for its ‘bench to bedside’ results. This year the University will open the Centre for Cancer Immunology. It is the first of its kind in the UK and will bring world leading cancer scientists under one roof and enable interdisciplinary teams to expand clinical trials and develop lifesaving drugs. 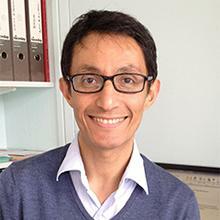 Professor Aymen Al-Shamkhani is Professor in Immunology within Medicine at the University of Southampton.